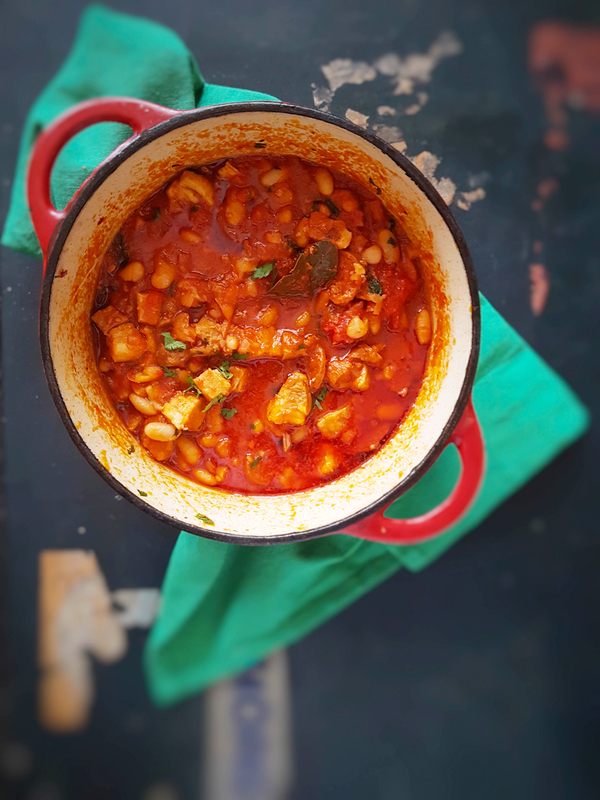 This Pork and Chorizo Stew is a twist on one of my favourite recipes on the blog, Pork and Cannellini Bean Stew, and is influenced by a recent trip to Spain. Paprika oozes from the chorizo to give the dish a deliciously rich taste. It’s easy to make and comforting to eat, the flavours don’t disappoint. Step 1 Heat the olive oil in a pan and fry the belly pork and chorizo on a medium heat for 5 minutes. Step 2 Add the onion and cook for a further 3 minutes, then add the rest of the ingredients: paprika, cannellini beans, canned tomatoes, bay leaves, dried fennel, parsley, water, salt and pepper. Step 3 Bring to the boil, reduce heat to low, cover with a lid and simmer for 1½ hours or until the meat is tender. Serve with mash or crusty bread and garnish with parsley.